Organiser: The contest is hosted by Pune Institute of Computer Technology. Top 2 teams (First Year and Second Year), and 2 teams (Third Year and Fourth year) from leaderboard will be selected for final round of Pradnya'18. 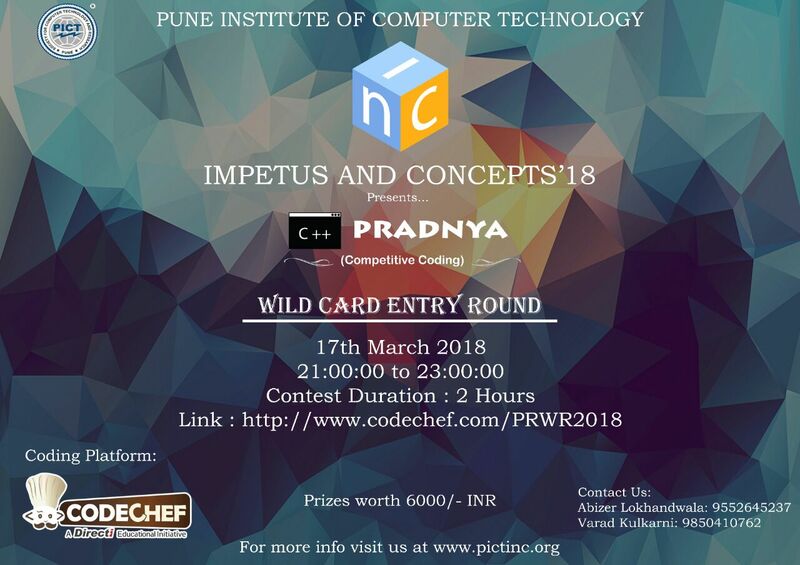 Top 2 teams (First Year or Second Year), and top 2 teams (Third Year or Fourth year) from PICT will be selected for final round of Pradnya'18.